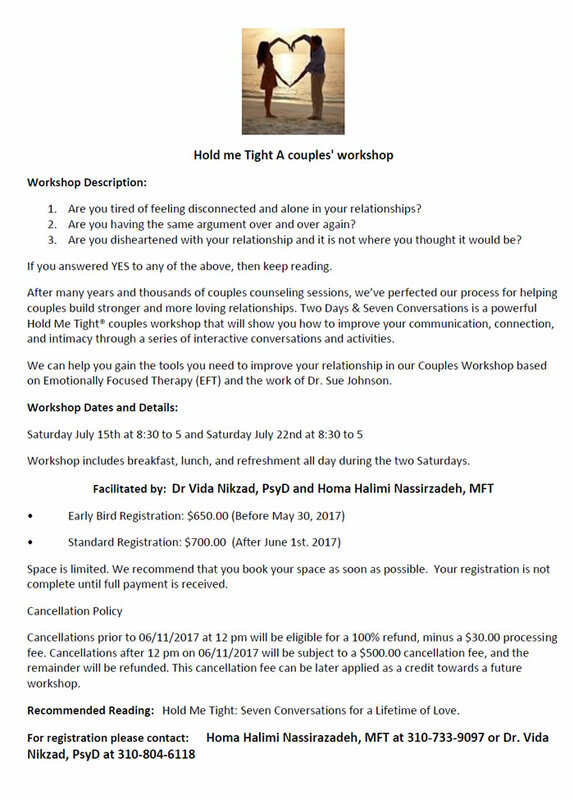 Workshop by Facilitated by: Dr. Vida Nikzad, PsyD and Homa Halimi Nassirzadeh, MFT . We can help you gain the tools you need to improve your relationship. For registration please contact: Homa Halimi Nassirazadeh, MFT at 310-733-9097 or Dr. Vida Nikzad, PsyD at 310-804-6118 . Workshop includes breakfast, lunch, and refreshment all day during the two Saturdays.